Alpine cookbook combines unique cooking traditions with modern ideas in greater than 110 scrumptious recipes from the alps. Filled with a mixture of conventional culinary treasures and those past the classics, alpine cookbook includes greater than one hundred ten recipes from bavaria, austria, and switzerland, and highlights the type of dishes this regional cuisine has to offer. It features well known favorites like potato pancakes and austrian schnitzel, in addition to modern-day twists on unique cooking traditions from the region. 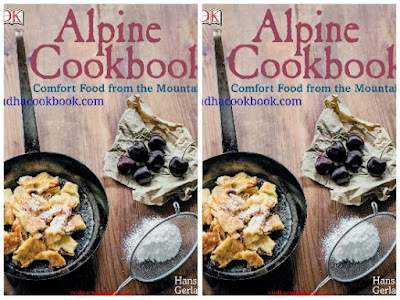 From rich and meaty consolation ingredients to lighter vegetarian dishes, alpine cookbook includes a culinary pride for every palate. Hans Gerlach worked for many years as a trained cook and chef in award-winning European restaurants; then he got a degree in architecture. For a while, he worked as a food stylist in Munich and today is an author, food photographer, and "kitchen coach." He is well known to a wide audience for his column in Süddeutsche Zeitung magazine.